Alliance talks between the Nishad Party and the Samajwadi Party fell through midway over a disagreement on seat share. Akhilesh Yadav alleged that Praveen Kumar Nishad had been bribed into making the switch. Samajwadi leader Akhilesh Yadav, under whose banner Praveen Kumar Nishad won last year's by-election for the Gorakhpur Lok Sabha seat, had a pithy comment when the Nishad Party leader joined the BJP today. The BJP, he tweeted, had made a "loss-making deal" and alleged that the Nishad leader had been bribed into making the switch. "'Vikas is asking: Will the Gorakhpur MP, who got a bag full of 'prasad' from the mathadheesh, distribute it among others or devour it alone? The BJP will lose on this deal, as the people had voted for the grand alliance (SP-BSP) and not the parliamentarian," the former Chief Minister tweeted in Hindi. Alliance talks between the Nishad Party and the Samajwadi Party fell through midway over a disagreement on seat share. The smaller party wanted three seats, but the Samajwadi Party was ready to offer just two. Days later, Praveen Nishad, joined the BJP - in Akhilesh Yadav's parlance, after receiving "prasad" from the "Mathadheesh" - bribes from the chief of the Gorakhnath temple - a post currently occupied by Chief Minister Yogi Adityanath. Praveen Nishad's victory from Gorakhpur as a candidate of the united opposition was considered a gamechanger by the parties involved. The seat had been a BJP stronghold that sent Yogi Adityanath to the Lok Sabha five times in a row. The election was seen as a pilot project that brought together arch-rivals Mayawati and Akhilesh Yadav. Its success set a template for the opposition alliance for the national elections. But the relation between the alliance and the Samajwadi Party soured over seat distribution. With Gorakhpur alone having around 3.5 lakh voters that belong to the Nishad community, the defection of Praveen Nishad is expected to work against the alliance. 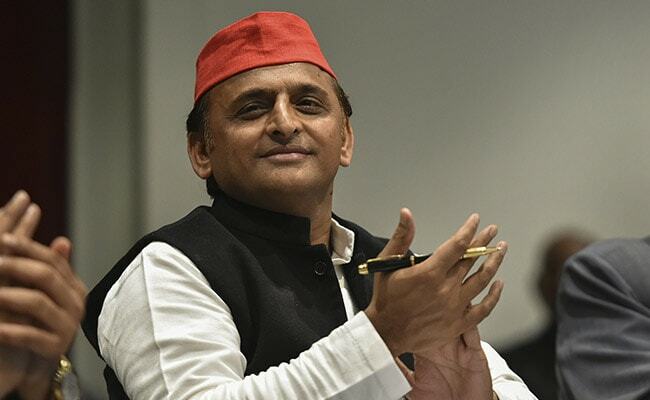 Akhilesh Yadav, however, has announced a new candidate for the Gorakhpur Lok Sabha seat - another leader from the Nishad community, who belongs to his party.